Desc: Landstrom's Black Hills Gold Sterling Silver grape and leaf anklet. 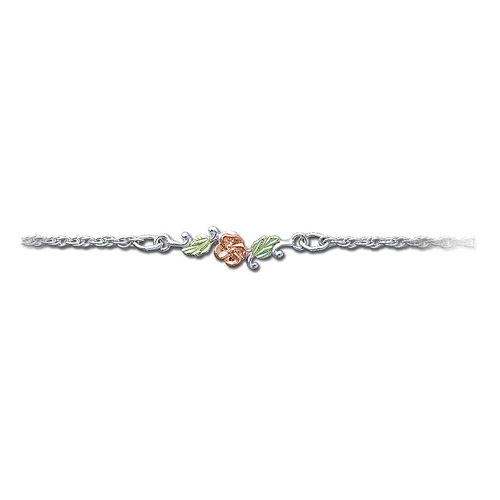 The rose and green gold leaf pattern is mounted in the center of the anklet chain. The chain is sterling silver.